Our Portland veterinary hospital has long been serving the needs of area dogs, cats, chickens, small mammals and other pocket pets. One of the most important services our Portland veterinarian offers is exceptional pet dental care. Read on to learn why proper dental care is critical for your pet’s good health. Why is Dental Care Important in Portland? When a pet’s teeth are ignored, harmful tarter builds up and leads to periodontal disease. Even worse, gum and tooth disease opens the door for other potential health problems. Proper dental care provides the foundation for your pet’s long and healthy life in Portland. Bad breath is the first sign of a dental problem, and when it is exceedingly bad, it’s time to bring your pet to our Portland veterinary facility. Other signs include bleeding around the mouth area, lethargy, and loss of appetite. How Do You Treat Dental Problems? For serious dental problems, we may need to perform surgery. Just as with any surgery our veterinarian performs, we’ll use anesthesia to ensure your pet’s comfort and safety. Be assured that our anesthesia products are the best and safest on the market today. However, a dental preventive care program can prevent serious problems such as this down the road. The best way to ensure your pet’s good health is with a thorough dental preventive program. As part of your pet’s overall wellness plan, your pet gets a visual examination of his or her mouth during the annual visit. At this time, we’ll schedule a cleaning to remove built-up tartar and plaque. We’ll also instruct you on how to brush your pet’s teeth at home, and advise you on the use of dental rinses, dental chews, and foods that promote oral health. 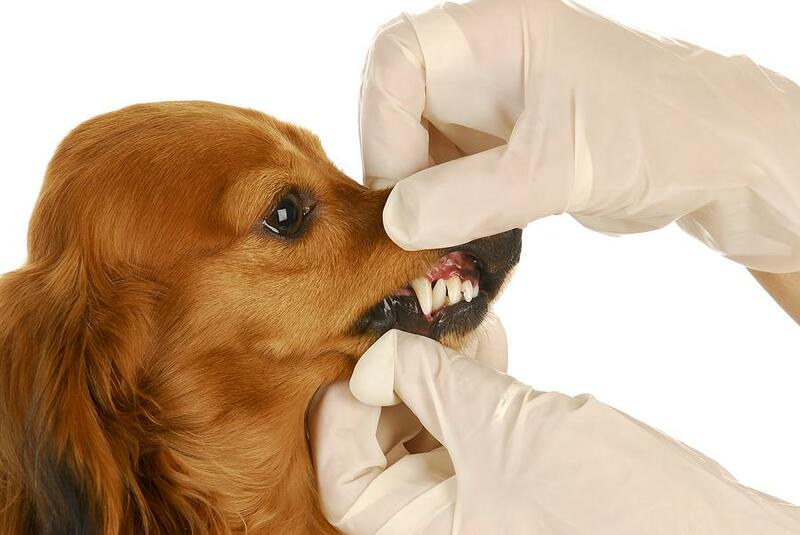 What’s Involved in Dog Dental Care? Oral hygiene is the most overlooked issue in dog health care, and by age 2, 95% of dogs and cats have developed periodontal disease. Regular cleaning is the way to prevent periodontal disease. During this procedure, we’ll put your pet under anesthesia and scrape plaque off the teeth both above and below the gum line. Sometimes more in-depth oral surgery may be needed for conditions including extractions, repairing palatal issues, or removing oral tumors. What’s Involved in Cat Dental Care? Much of dog dental care is also true for cats, but with a few exceptions. One exception is resorption or “cat cavities” which results in tooth loss for 67% of cats. Cats are also susceptible to a condition called feline stomatitis, which causes painful gum inflammation. Regular dental exams for your cat help our veterinarian identify and treat any impending problems. There’s no doubt that consistent care of your dog or cat’s teeth and gums is intrinsic to their overall good health. Our Portland veterinary team, is committed to helping you develop a complete dental care program for your pet. Call us at 503-285-7661 to find out more.